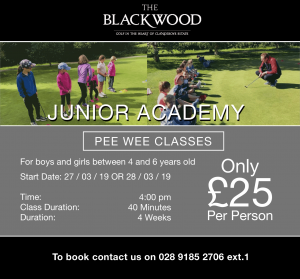 The Academy at The Blackwood is North Down’s centre of excellence for golf improvement. We have 3 PGA Professionals waiting to help you start your journey to better golf. Superb facilities with our driving range, putting green, short game area plus TWO courses to choose from and state of the art technology with trackman. With all this your improvement is personally guaranteed! Regardless of your age or ability, we can help you learn how to play golf. If you’re under 18 then we make sure that you have FUN at the Academy. It’s not all about distance, how hard you hit the ball or serious competition – at the Academy we have games aplenty and make learning about golf as fun as we can. Weekly classes take place after school and we have a range of camps at Easter, Summer and Halloween holidays. From 4 to 17 we welcome kids from anywhere. Brush up on your short game technique with one of our coaching staff at our short game area. 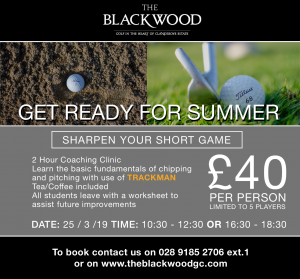 These 2 hour clinics aim to leave participants with a better understanding of the fundamental aspects of greenside play (chipping and pitching) and Bunker Play. 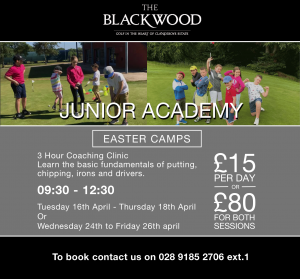 Aimed at players of all levels, these clinics are extremely popular and are delivered in a simple, understandable manner. All students leave with a worksheet to assist future improvements. Brush up on your putting technique with one of our coaching staff at our putting green. 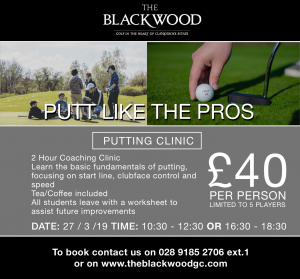 These 2 hour clinics aim to leave participants with a better understanding of the fundamental aspects of the putting stroke, green reading and pace. 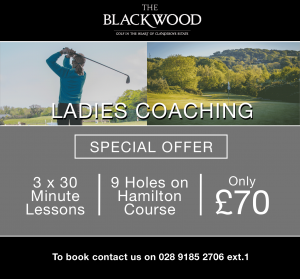 Special offer for ladies looking to improve their golf. Package includes 3 x 30 minute lessons and 9 holes on our Hamilton Course.